"For the past 2 years our group has been converting TWA 727-231 / N52310 into a fixed base home flight simulator for private use." "The A320 Project is an online documentation of the construction of a full scale A320 Flight Training Device with visuals made from a combination of real parts, custom made parts, brain power and sweat!" "My Flight Deck is actually the forward section of Boeing 737-130." "Este equipo puede ser utilizado para la familiarización con el 737y sus sistemas a un bajo costo,puede resultar útil  para la adaptacion a Jet,al vuelo por instrumentos,LOFT y CRM." "Revealing the technical side of a home cockpit project." Matt's "Basement Tour" is a must see. "I must admit that up until it was sitting in my driveway, I really didn't believe that I'd managed to get an F-15 cockpit." "Ever since the age of 15, I have dreamt of building my own personal flight simulator. That dream became a reality when I purchased a retired Continental Boeing 737-100 flight deck. 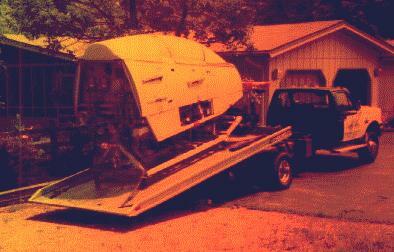 Since then, I've been busy converting the aircraft into a fixed base simulator." "In 1998 I began the design and construction of my 747-400 simulator. (With Motion)"
"Walter's problem is he lives in a fairly small apartment, and this thing needs a room with a HIGH ceiling!" "This instrument flight simulator was built by Burtek, Inc., of Tulsa Oklahoma,in 1970"
"This site contains information on a home built one-seater flight simulator using: A replica F-16 forward fuselage section." Matt Olieman A340 Project U.S.A.
"When it's all done, I hope it will look similar to the actual A340 Cockpit." "Johnny's Flightsimulator (Glass Cockpit) Flightdeck6"
"This web page 737flightsim.com is the beginning of what will be a work in progress." "Michael and David Lehkamp 767 Home built flight simulator." A very good link to a list of homemade simulators. 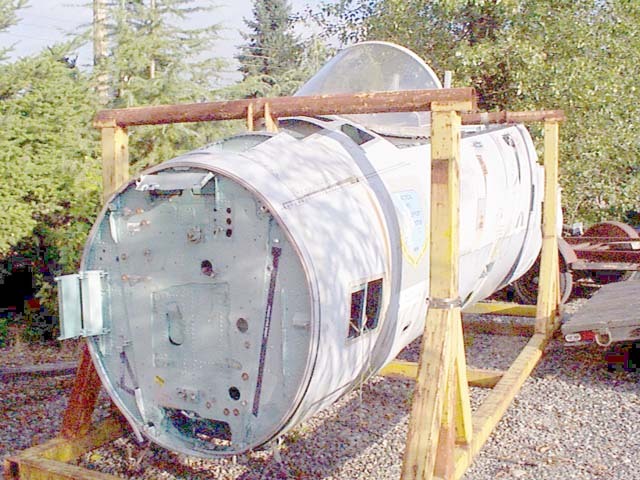 See some legacy aircrew training devices. Visitors: 2007: 773, 2008: 3,840, 2009: 3,872, 2010: 4,336. This page accessed times since 01/01/2011.